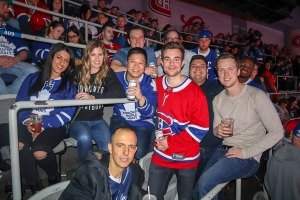 Elite Sports Tours had a great time in Montreal this past weekend for the Toronto Maple Leafs at Montreal Canadiens game at the Bell Centre. 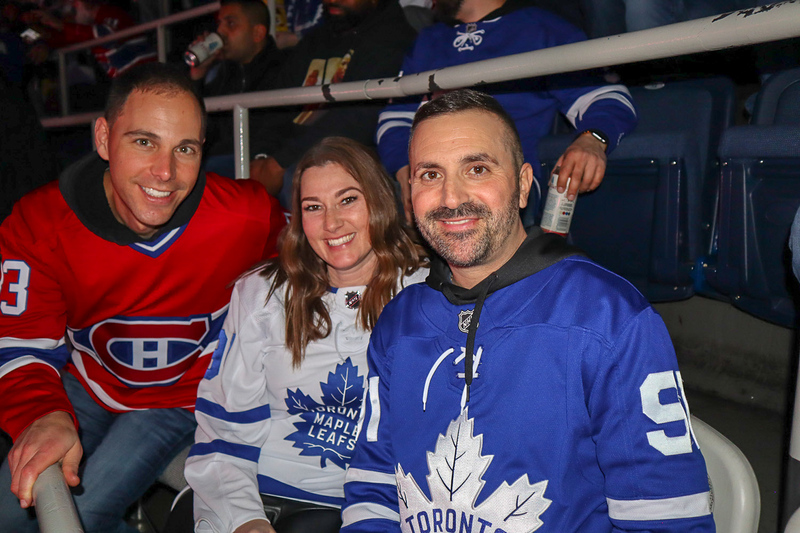 Passionate Leafs and Habs fans from across the province enjoyed the ultimate hockey road trip experience in La Belle Province for the 2018/19 regular season finale between two historic hockey rivals. As always, were very happy and fortunate enough to see some familiar faces on the trip, with fans who have traveled with Elite Sports Tours before on other trips. 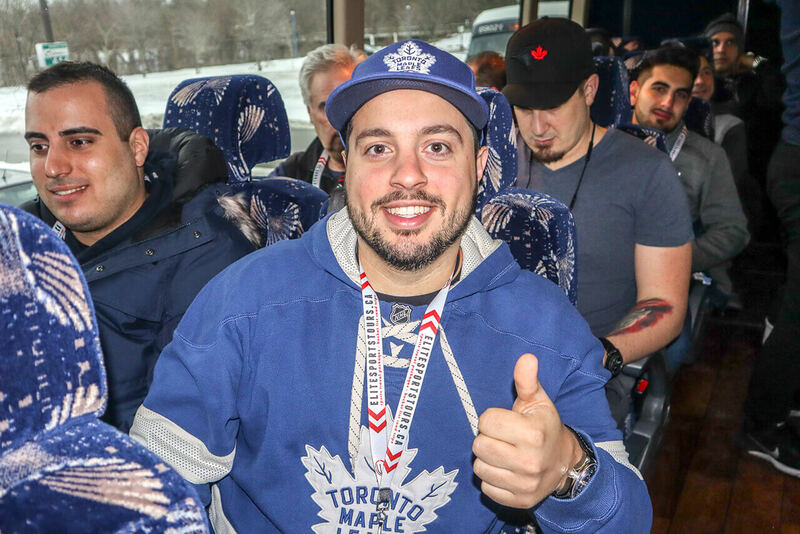 Everyone enjoyed the bus ride up the 401 with some movies, trivia, prize giveaways and jersey raffles for an authentic Leafs and Canadiens jersey. 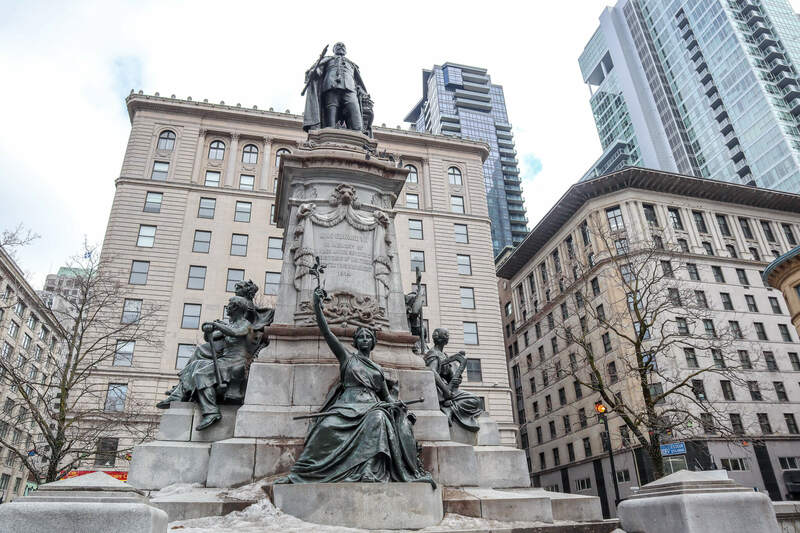 Our guests spent two nights in downtown Montreal at either the beautiful Novotel Montreal, just a few blocks away from the Bell Centre, the home of the Montreal Canadiens. 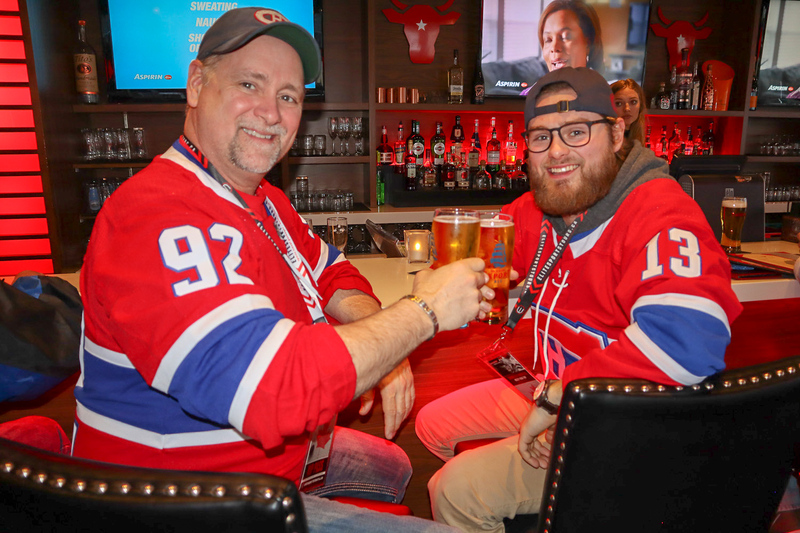 On Friday night, our guests had the opportunity to take in the many sights and sounds of Montreal and enjoy many of the great resturants the city has to offer as we arrived to the Novotel on Friday at 3:30 p.m. Unfortunately for our Montreal Canadiens fans, they found out their beloved Habs were eliminated from playoff contention when the Columbus Blue Jackets knocked off the New York Rangers with a 3-2 shootout victory, locking up the second and final Eastern Conference wild-card spot. Our first Pre-Game Party at Houston Avenue Bar and Grill Victoria Square in February was such a great success we headed back for round two! 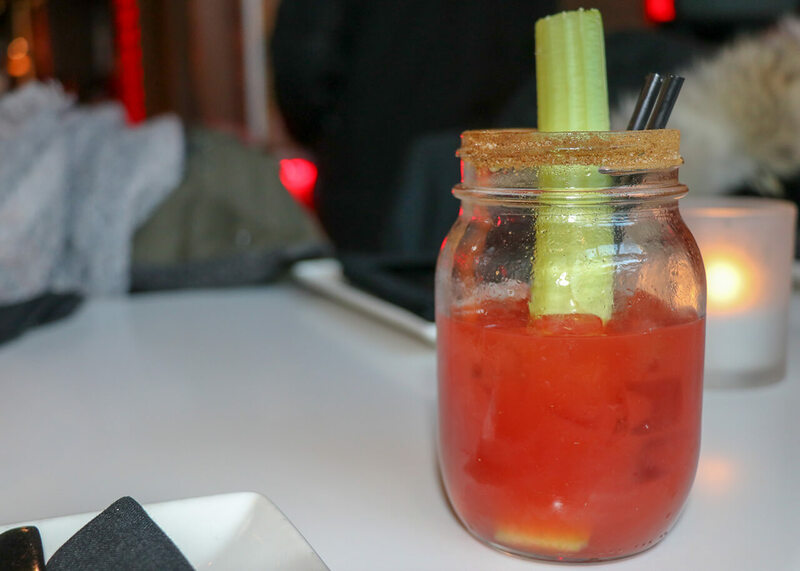 Our guests fuelled up for the big game with Happy Hour drink and appetizer specials. 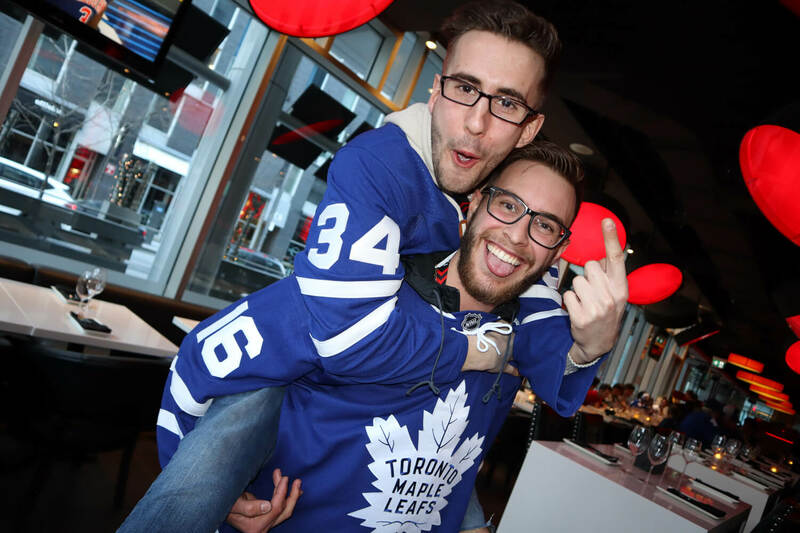 The entire bar was filled with Leafs and Habs fans, decked out in red, white and blue, ready to watch an Original Six showdown. We had a great time at Houston Avenue Bar and Grill Victoria Square with our Elite Sports Tours guests. Our group had a few hours before the big game between Toronto and Montreal to eat some delicious food and have some beverages, while mingling with their friends and making some newo ones. 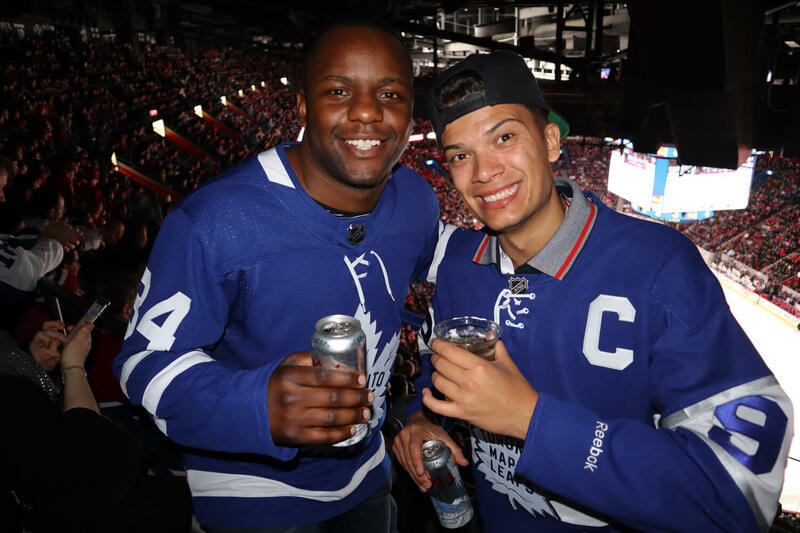 It was great to see so many people from the bus tour show up in their Toronto Maple Leafs and Montreal Canadiens gear, ready for the final regular season game of the 2018/19 campaign. Once everyone was filled up and ready to go, it was time to head to the Bell Centre! Fans could not have asked for a more entertaining game between these two storied hockey franchises. For the second straight meeting between the Toronto Maple Leafs and Montreal Canadiens, 60 minutes was not enough to decide a winner. After already scoring a hat trick in his first NHL game, Ryan Poehling beat Frederick Andersen in a shootout to give the Montreal Canadiens a 6-5 win over the Toronto Maple Leafs. 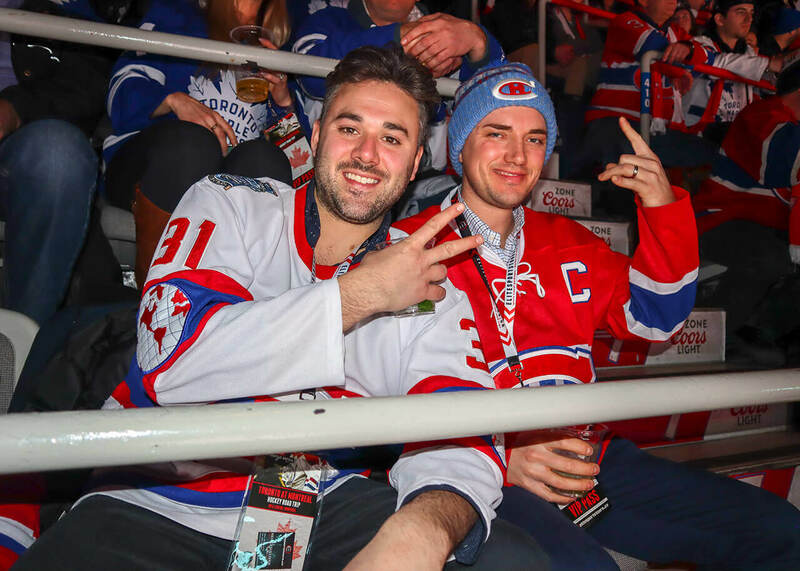 We can’t wait to be back at the Bell Centre next year for another Toronto Maple Leafs vs. Montreal Canadiens Bus Trip! If you want to join us in the future, sign up for the newsletter to be notified on the release of all our ultimate sports road trips! Elite Sports Tours always likes to deliver an exceptional experience to our customers, when we visited Montreal it was no different. 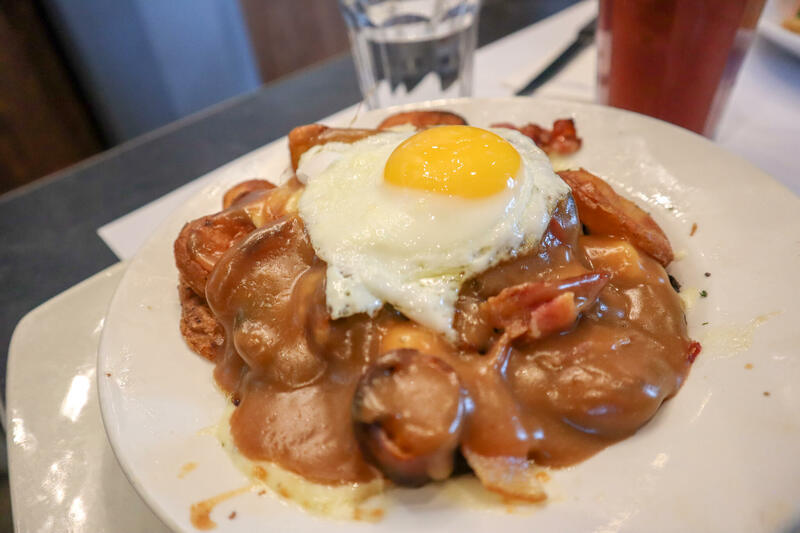 One of our favourite cities to visit was complimented by some awesome hospitality from our friends at Houston Avenue Bar and Grill Victoria Square Montreal. 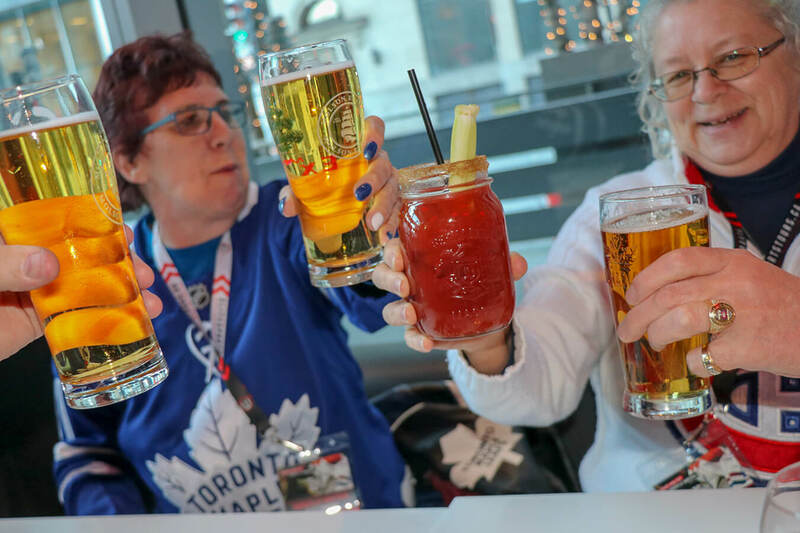 Thank you to their staff for providing great service during our pre-game party with Toronto Maple Leafs and Montreal Canadiens fans enjoying food and drinks before the big game. 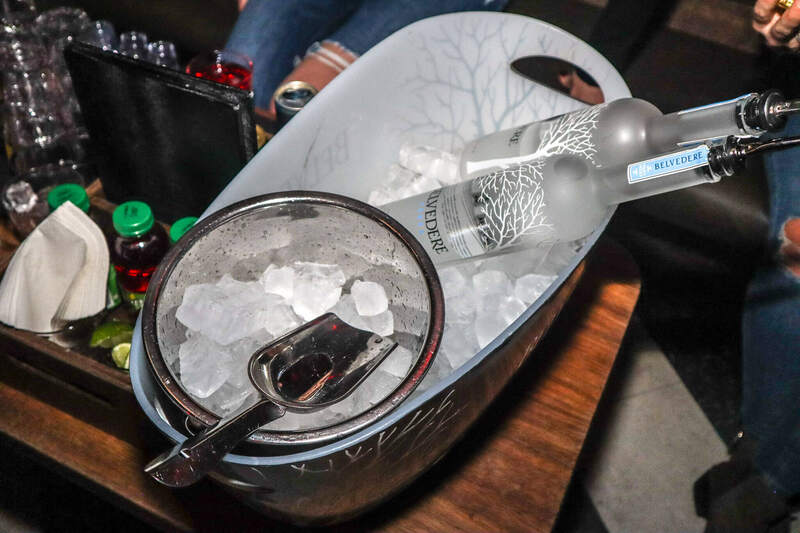 Houston Avenue Bar & Grill is a great steakhouse with a trendy feel that was perfect for our group to dine before and even enjoy a some drinks with the Elite Sports Tours staff and guests. 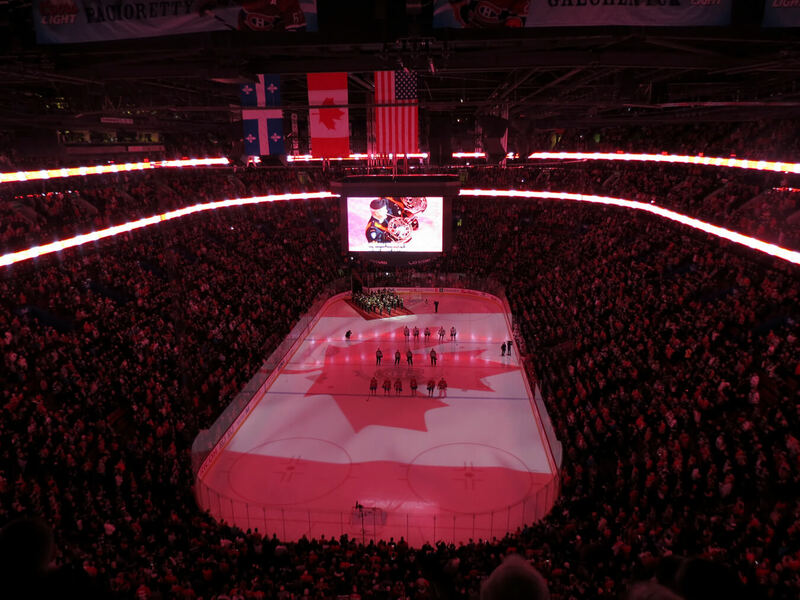 A perfect opportunity for sports fans who traveled to Montreal with their friends and family to interact with other fans on the tour and make new friends! 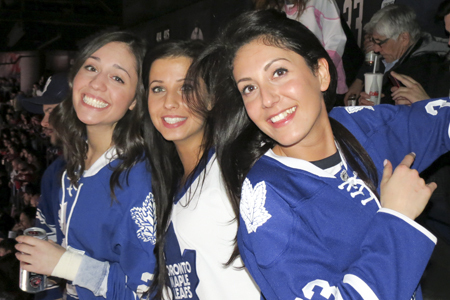 Our team captured some footage of the pre-game experience before the hockey game between the Leafs and Habs. Our team managed to capture some great photos of friends and family enjoying their weekend at Houston Avenue Bar & Grill. 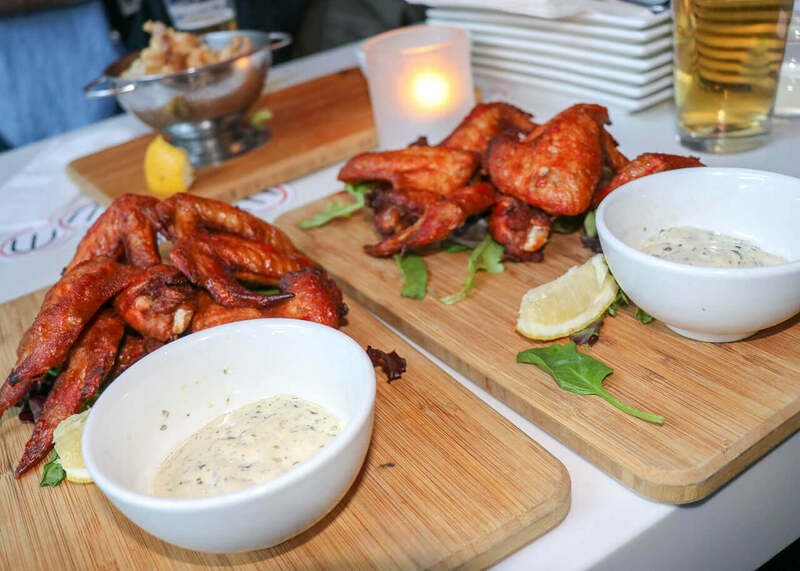 The steakhouse was also nice enough to extend weekday happy hour into Saturday for our group, featuring favourites like Crispy Calamari, Nachos, Popcorn Shrimp and Chicken Wings! 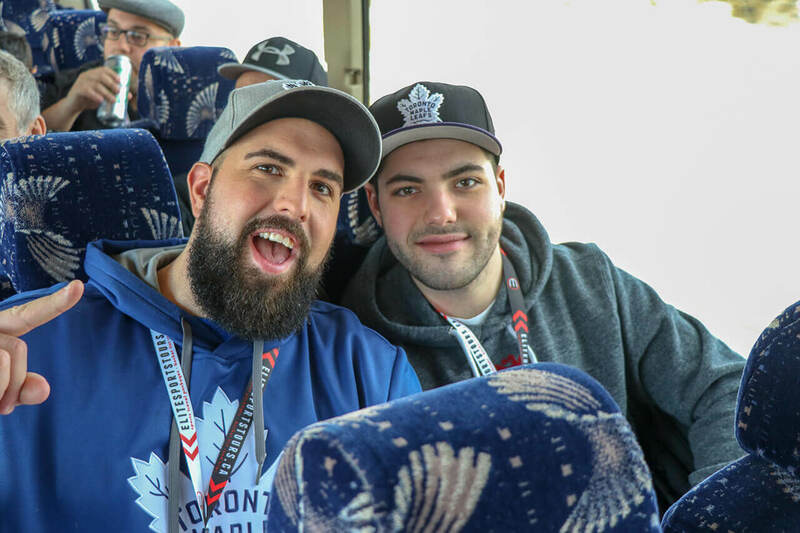 We head back for the last game of the season on April 5-7 2019 Toronto Maple Leafs at Montreal Canadiens Bus Trip! 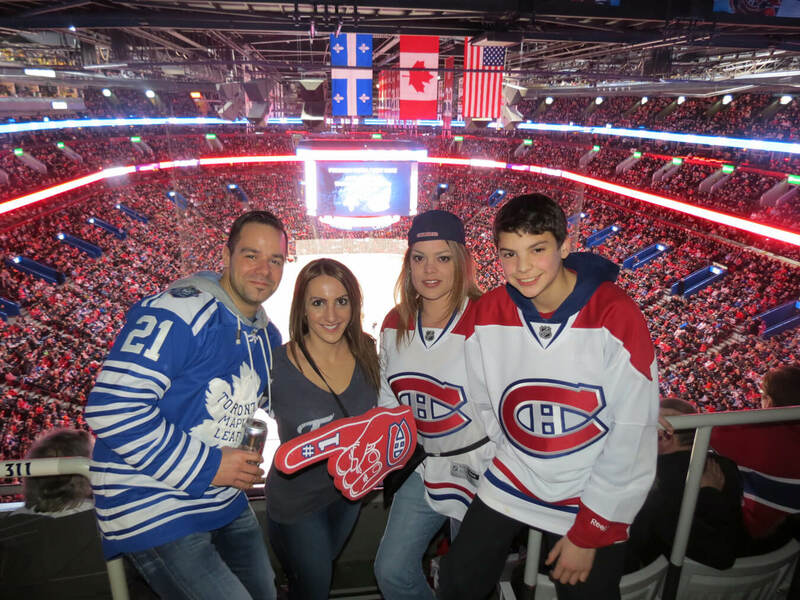 Elite Sports Tours had a great time in Montreal this past weekend for the Toronto Maple Leafs at Montreal Canadiens game at the Bell Centre. 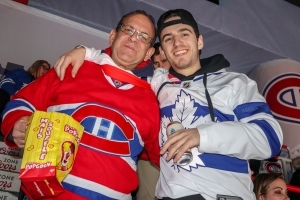 We had over 200 passionate Leafs and Habs fans enjoy the ultimate hockey road trip experience in La Belle Province. We were lucky enough to see some familiar faces on the trip, with fans who have traveled with Elite Sports Tours before on other trips. 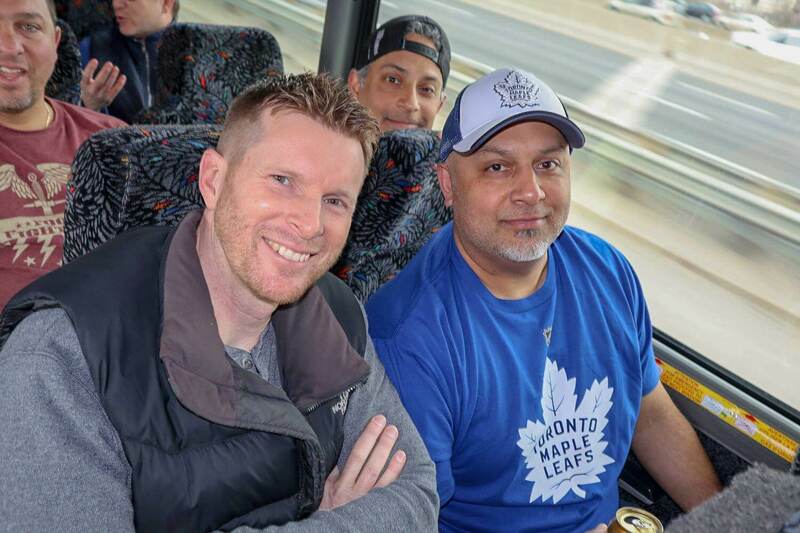 Everyone enjoyed the bus ride up the 401 with some movies, trivia, prize giveaways and jersey raffles for an authentic Leafs and Canadiens jersey. 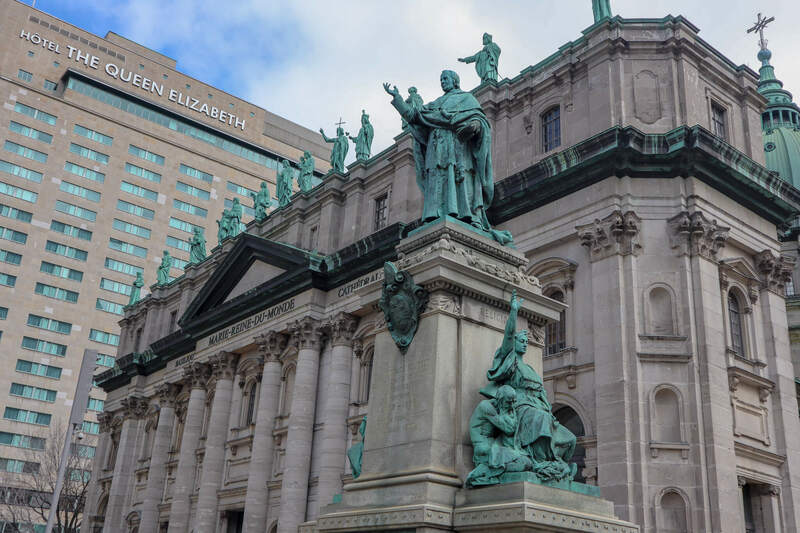 Our guests spent two nights in downtown Montreal at either the Intercontinental Montreal or the Novotel Montreal. Both hotels are located in the heart of downtown, close to the Bell Centre. 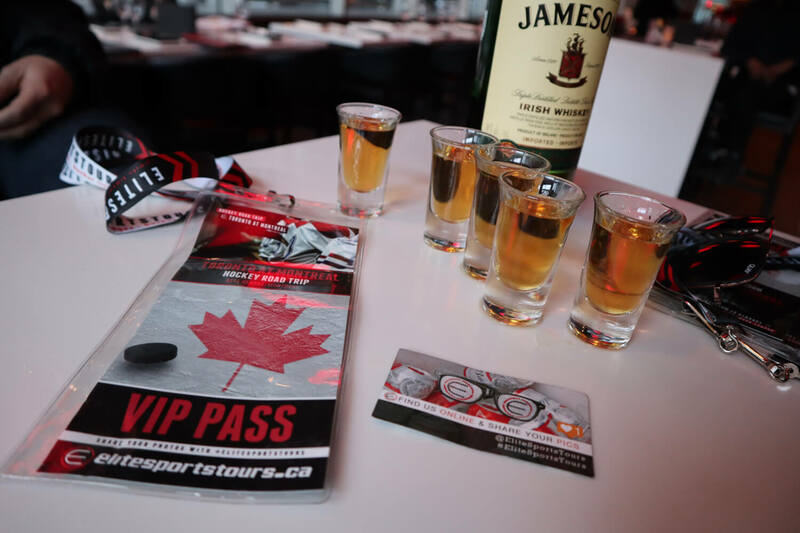 On Friday night, Elite Sports Tours hosted a "Montreal Kick-Off Party" at Somwhr Liquor Lounge to start the weekend off with some celebratory drinks with some of our travel guests. 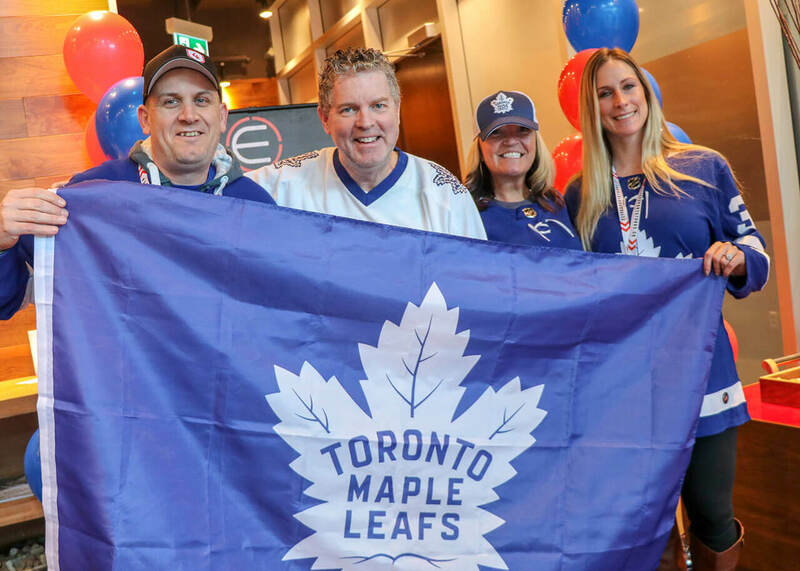 On Saturday, Houston Avenue Bar and Grill Victoria Square graciously hosted the Elite Sports Tours Pre-Game Party from 4-6 PM. Our guests fuelled up for the big game with Happy Hour drink and appetizer specials. The entire bar was filled with Leafs and Habs fans, decked out in red, white and blue, ready to watch an Original Six showdown. We had a great time filling up Houston Avenue Bar and Grill Victoria Square amongst fans traveling with Elite Sports Tours. 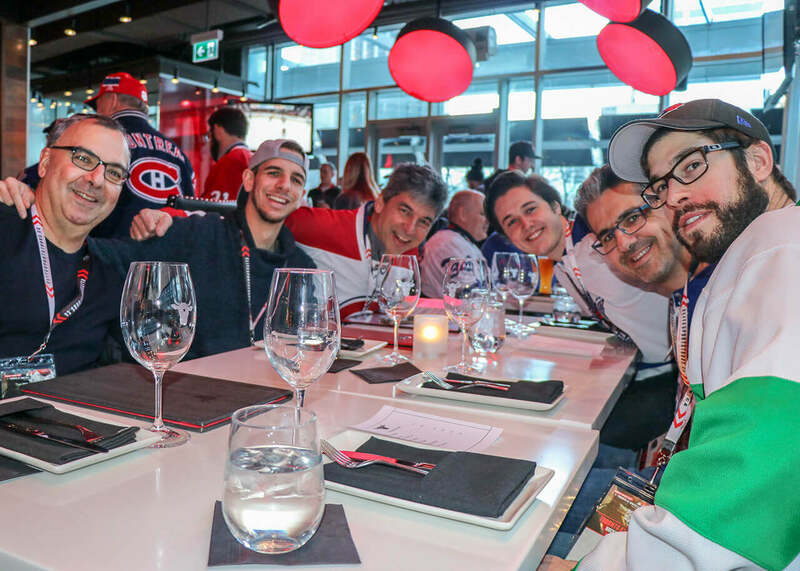 Our group had a few hours before the big game between Toronto and Montreal to eat some delicious food and have some beverages, while making some new friends. 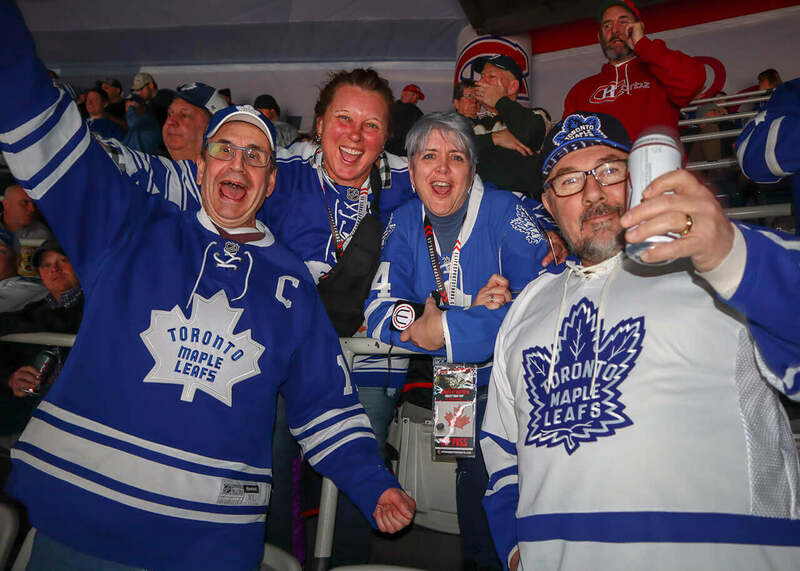 It was great to see so many people from the bus tour show up in their Toronto Maple Leafs and Montreal Canadiens hockey gear, or hockey sweaters as they call them. Once everyone was filled up, it was time to head to the rink! Fans could not have asked for a better game between the two storied franchises. After 60 minutes of back and forth hockey, the game went into overtime with a score of 3-3. After successfully killing off a penalty in the extra frame, John Tavares potted the winner by beating Carey Price with a back-hand beauty after taking a slick feed from Mitch Marner, giving the Maple Leafs the 3-2 overtime win. 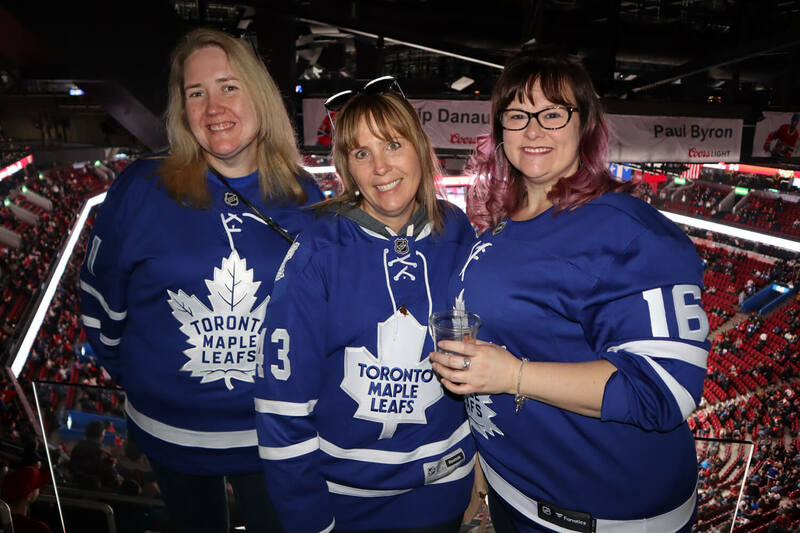 We can’t wait to be back at the Bell Centre for the next Toronto Maple Leafs at Montreal Canadiens Bus Trip on April 5-7 2019! If you want to join us in the future, sign up for the newsletter to be notified on the release of all our ultimate sports road trips! 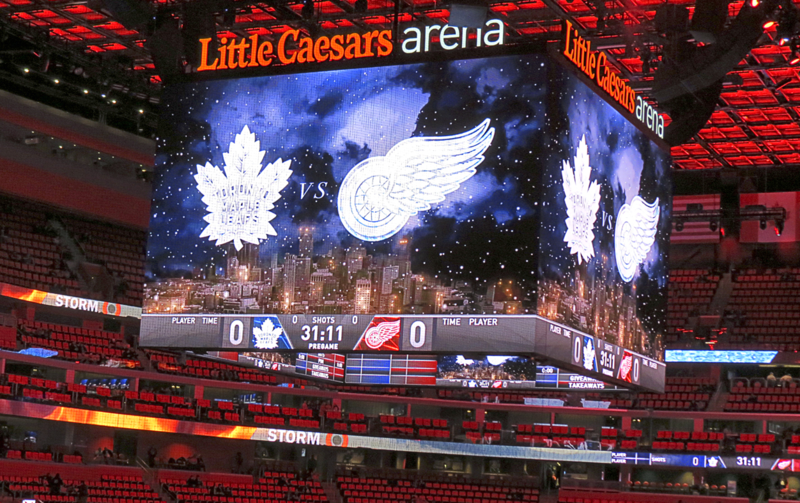 For the second consecutive year, Elite Sports Tours is heading to Little Caesars Arena to see the Toronto Maple Leafs take on the Detroit Red Wings on Friday, February 1st. 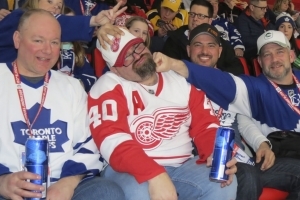 Leafs and Wings fans from across the province are headed down the 401 and across the the Gordie Howe International Bridge into downtown Detroit for an Original Six showdown. It should be a closely contested battle as the Leafs currently lead the season series 2-1 with two of those games being decided in overtime. Elite Sports Tours will be back to Little Caesars Arena for two Toronto Raptors and Detroit Piston road trips on March 3rd and March 17th. 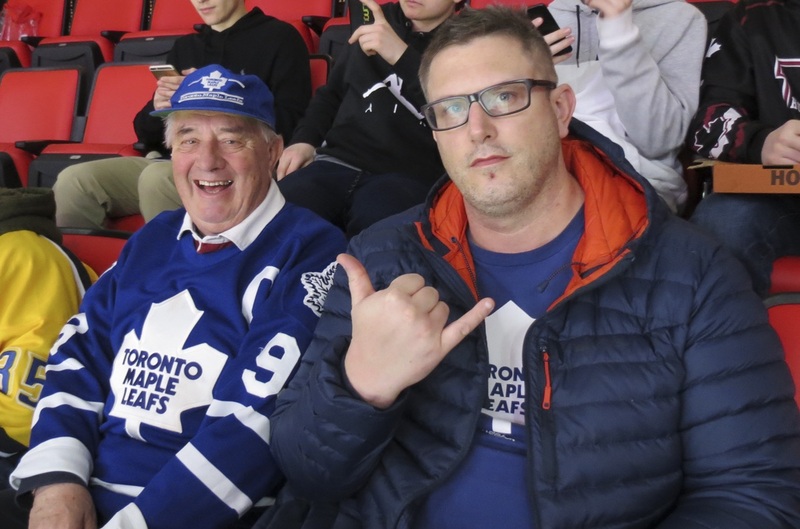 Just a week after the Wings and Leafs road trip in Detroit, the Elite Sports Tours crew is headed to La Belle Province for another Original Six matchup, this time between the Toronto Maple Leafs and the Montreal Canadiens. On February 8th, over 200 hockey fans will head out on a bus road trip to Montreal to see one of the oldest rivalries in all of sports. 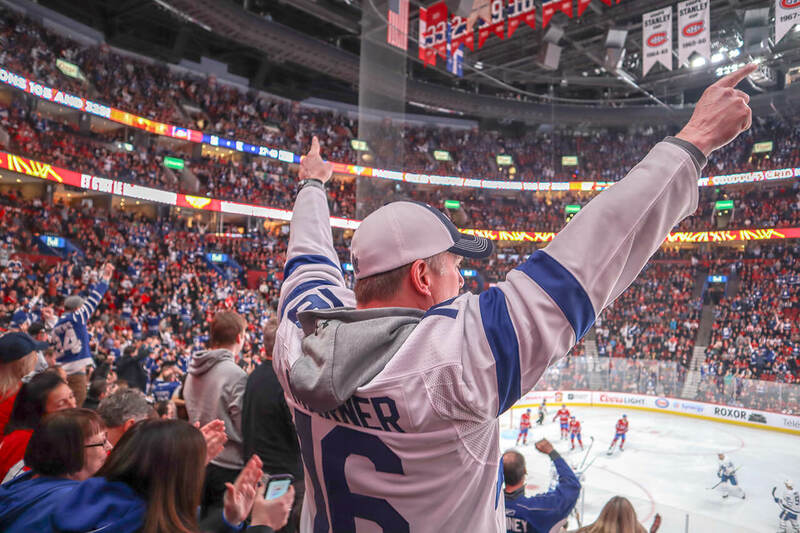 There are still some spots remaining for the Toronto Maple Leafs at Montreal Canadiens road trip on February 8-10, but they're are booking up fast! 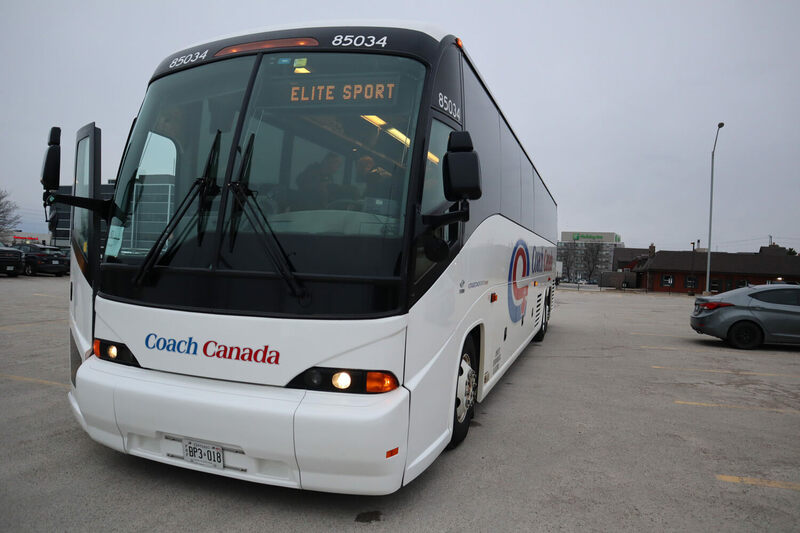 Elite Sports Tours will be back in MTL for the Toronto Maple Leafs at Montreal Canadiens road trip on April 5-7 for the last game of the season for a game which could have major playoff implications. If you want to join us on future road trips, sign up for the newsletter to be notified on the release of future road trips.